Since the launch of XPEL ULTIMATE, the world’s first self-healing paint protection film, XPEL has worked to advance the industry further. 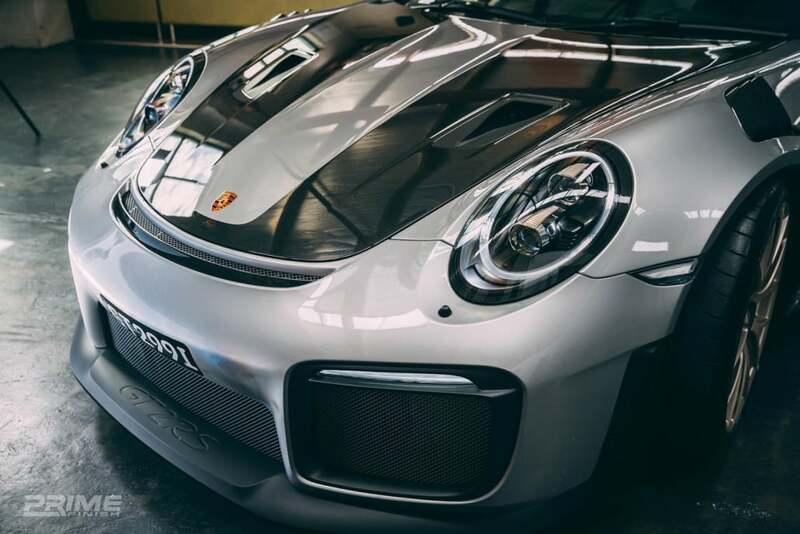 Introducing the arrival of the new XPEL ULTIMATE PLUS – the next evolution of superior paint protection film. An unparalleled high gloss finish. Improved impact protection for enhanced durability. No doubt, XPEL ULTIMATE PLUS is the most advanced paint protection on the market. Along with the same self-healing power you’ve come to love, XPEL ULTIMATE PLUS provides less visible distortion than ever before. It also maintains maximum adhesion to painted surfaces thanks to our new edge seal technology. With ULTIMATE PLUS, you’ll forget all about the orange peel woes of other films. It’s so optically clear, it’s virtually invisible to the naked eye. 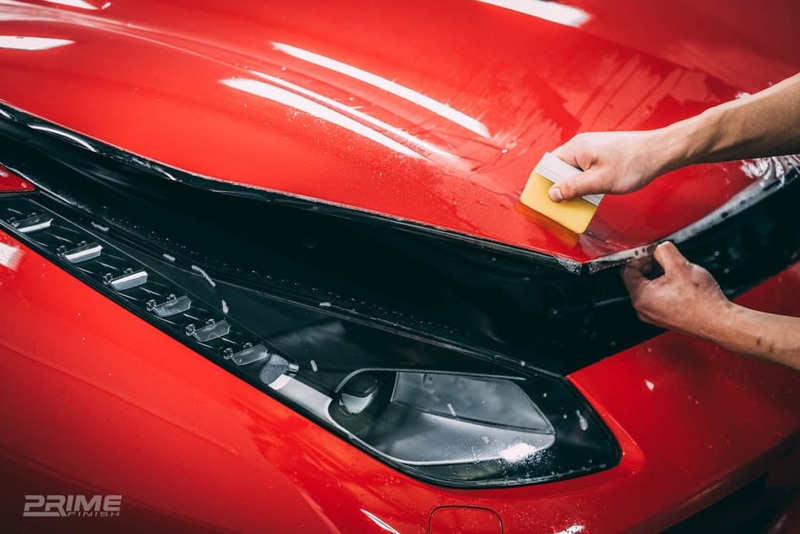 In some cases, XPEL ULTIMATE PLUS can improve the surface quality of your original paint, offering a more consistent finish and overall shine. It’s the perfect product to keep your personal vehicle looking pristine with minimal effort on your end. Driving any distance can take a toll on your car’s exterior. 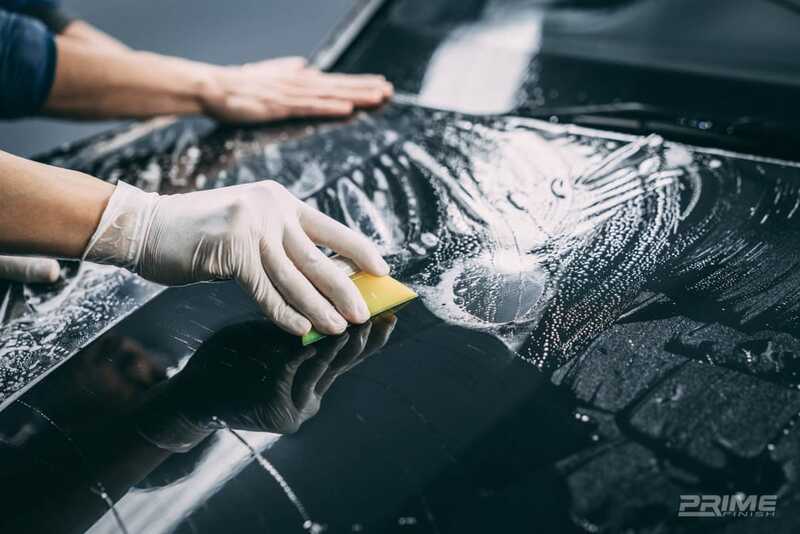 Road grime, tar, bug guts, bird droppings and even air pollution can contaminate the clear coat, causing etching, oxidation, or worse. Thanks to XPEL ULTIMATE PLUS paint protection film, your vehicle can stay safe from outside elements. The film is extremely stain & discoloration resistant, leaving you free to enjoy the drive without worrying about a wipe down at your next stop. From the shop or the dealership to the street & the track, XPEL ULTIMATE PLUS was born to perform. It installs with ease, looks incredible, and it’s built to last. Backed by our 10 year warranty, XPEL ULTIMATE PLUS will have you feeling like you’re driving a new car every day. Unsure about the level of protection you need? For most sports cars and passenger vehicles, we recommend what you see above. It’s commonly called a “full front” package. This type of coverage typically includes the entire hood, front bumper, full fenders, headlights, fog lamps, mirror caps, and more. For trucks, a “partial” package is often preferred, excluding chrome or textured plastic bumpers. Rocker panels and other high impact areas like rear bumpers and fenders are also important to protect, especially with performance cars or trucks with wide tires.